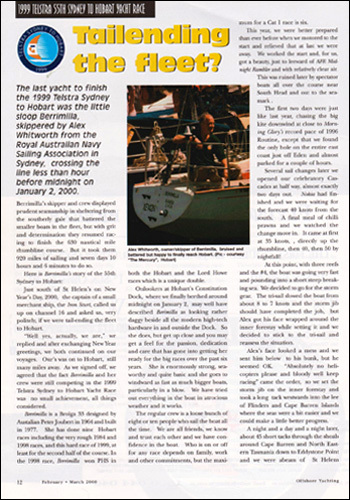 In the 1999 Sydney-Hobart, we copped a 50 knot southerly almost exactly at half way in that year’s Hobart and I managed to smash my face on the foredeck and make a bit of a mess. 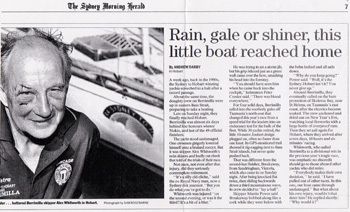 We plugged on, but by the time we had crossed Bass Strait and reached St Helen’s we were all stuffed and the boat was wet through and still bashing into the southerly so we decided to stop to dry out and rest. We anchored in Skeleton Bay on Dec 31st, cleaned up the boat, opened a bottle of rum and slept soundly through Y2K and into 2000. Next morning we set off again and finished the race. 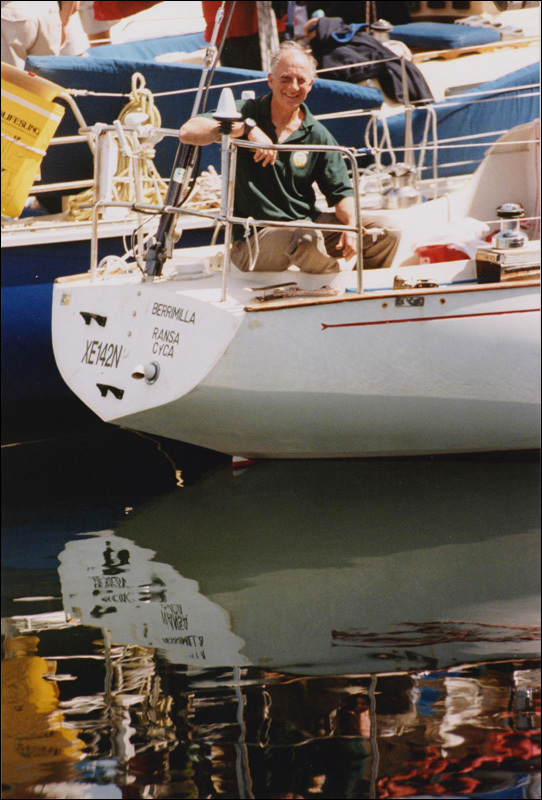 Berrimilla’s race time of seven and a half days that year is up there amongst the slowest ever recorded.